But Skratch has already left his mark in Copenhagen. Something tells me that Saint 21 won't look quite the same after his time here. Maybe he'll leave his mark on some other landmarks too? 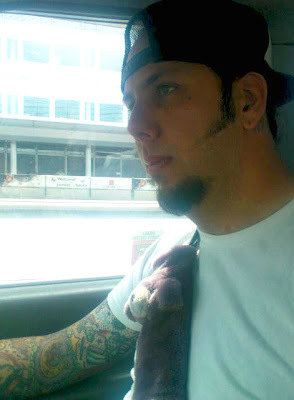 Safety belts with teddybears are cool. Yes folks, the pinstriper has landed! Rob picked him up in Copenhagen about an hour ago. Sandy De Luxe, pimped like a winner, Saint 21 style. 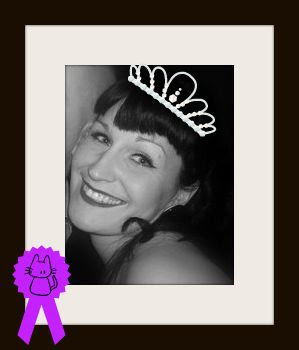 The winner in the Saint 21 blog contest is Sandy De Luxe! Sandy, your custom gift is waiting for you at the HepCat Store. We'd love to meet you in person and present it to you on PACE day! You can find Sandy's blog here. If you wanna read the winning entry, click here. But all our contestants did well, so both Devil Doll and Sandrina have consolation prices waiting for them. Drop by the store or contact us and we'll send them to you. We've almost finished our new skate ramp. 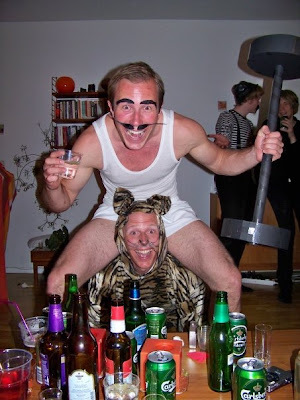 You can try it on PACE day this Saturday! Show your skateboarding skills and win awesome prices, sponsored by PACE. Anyone can enter our competition. It's free, drop in between 11-16. The Saint 21 skate ramp was built by these fine gentlemen, David and Pontus. 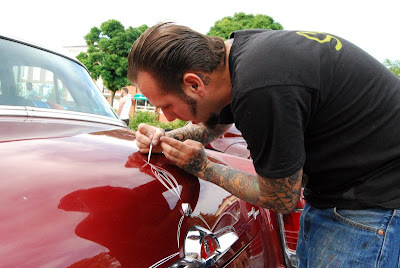 Skratch working on a '56 Buick. That's right folks, we're bringing him back to Sweden and Saint 21. 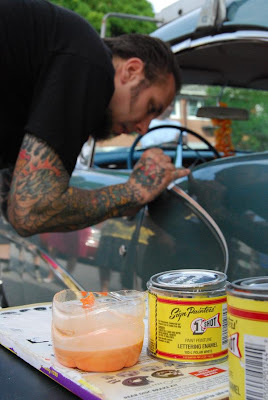 Pinstriper Skratch will be working at our PACE day on the 30th of May. But that's not all. He'll be in Europe for a few weeks and will accompany us to Jokers. More details on when he will be at Saint 21 and how you can book an appointment will follow soon. 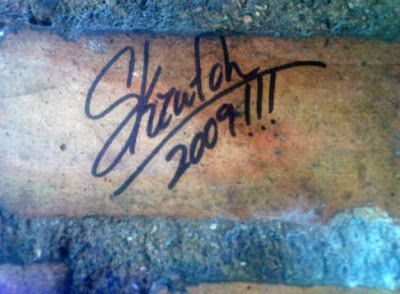 Skratch at work outside Saint 21. Yoy can read more about Skratch here. The PACE crew will hang out at HepCat Store all day, and talk about denim, Hot Rods and other essentials. Maybe they'll challenge the local kids on the skateboard ramp? Lots of special offers, surprises and more stuff t.b.a. We open at 11.00 and stay open until late. Check this blog and heptown.com for more info. It's bbq season again! And that means the start of Thursday evening bbq at Saint 21. We keep the grill hot, just bring your own food and hang out with us. The HepCat Store is open and there will be good music playing. There will be a few surprises at the Thursday bbq this summer, check this blog and heptown.com for info. Skratch and Zoe Scarlett were our guests at A-bombers Old Style Weekend last year. Our friend Zoe Scarlett is featured on Queens of Vintage, a website for vintage lovers. Read the interview with the only European amongst the world’s top ten pin-up models here. Zoe Scarlett was HepTown/HepCat Store's guest at Old Style Weekend last year. She had som much fun that she's planning to come back to Backamo this year. You can find Zoe's merch in the HepCat Store. Oh yes! Von Sven held a class in "Learn how to pinstripe" The event took place the first weekend in May 2009 at Saint 21 in Lund, Sweden. The music is performed by J.Tex. 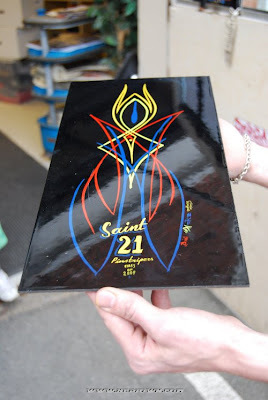 Von Sven dropped by Saint 21 this weekend to teach a class in pinstriping. 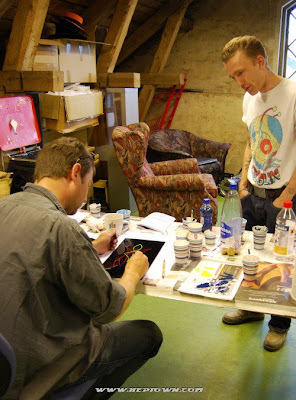 He had three very focused students who worked their way through basic pinstriping techniques. A panel made by the Saint 21 pinstriping class of 2009. 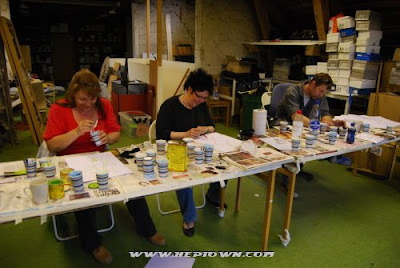 More photos from the pinstriping class can be found in the HepTown galleries. Click here!